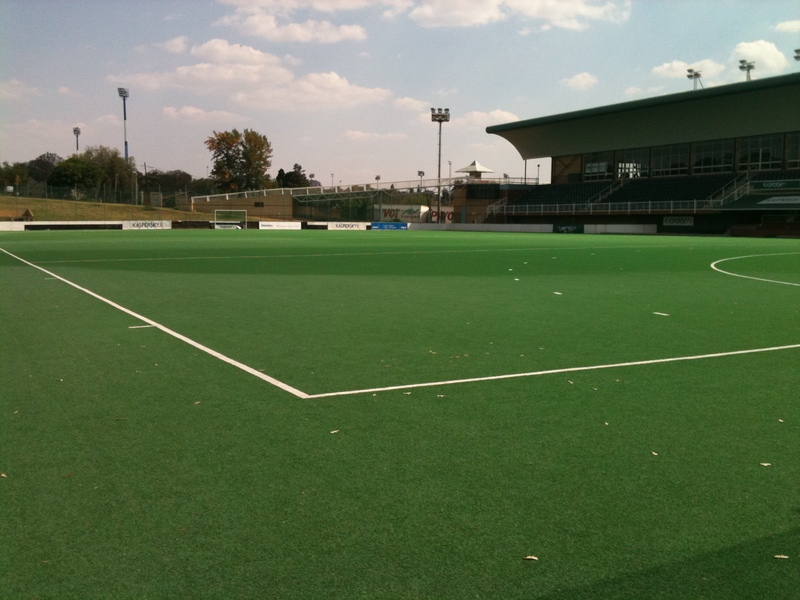 Randburg, Kaspersky Stadium, hosting Champions Challenge gets FIH seal of approvalTestament to the quality of the installation at Randburg where the Champions Challenge is being held this weekend that this a 6 year old installation has met global standard for FIH competitions. South Africa's men must finish second to get to London 2012 so it's last chance saloon for them in this copetition and a must win. This a high quality competition hosting the likes of India, Japan, Belgium and Poland and it's fantastic that SA can attract and host such a high quality competition. It is also very important that the teams get to play on a good quality surfaces too, so a few months ago Sports Labs tested the surface to determine the compliance of pitch to FIH Global standards. This 'hockey' only Stadium was found to pass all the tests and was awarded the FIH Global certificate by the FIH last month. This facility is only the second facility in SA to hold a current FIH certificate so a significant accolade for the Stadium and SA.